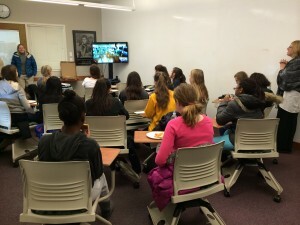 Home > Blog > Events > Girl Up Book Club Rocked! The Middle School Girl Up Book Club spent their lunchtime yesterday speaking with the lovely ladies from the Oprah Winfrey Leadership Academy for Girls (OWLAG). They discussed what it means to be a leader using examples from a variety of books read for the club like Esperanza Rising, Chanda’s Secrets, Hope Was Here and many more. 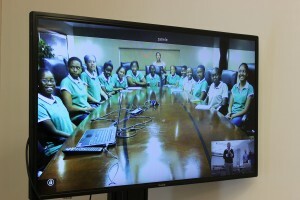 What a wonderful use of technology: meeting empowered young women on the other side of the world at lunch!